Not long ago, you’d walk into shops, especially independent ones, and many weren’t all that keen to take a card payment. Cash was the preferred method. Now the tables have turned, facilitated largely by the relentless drive to contactless payments. The contactless revolution has been swift. 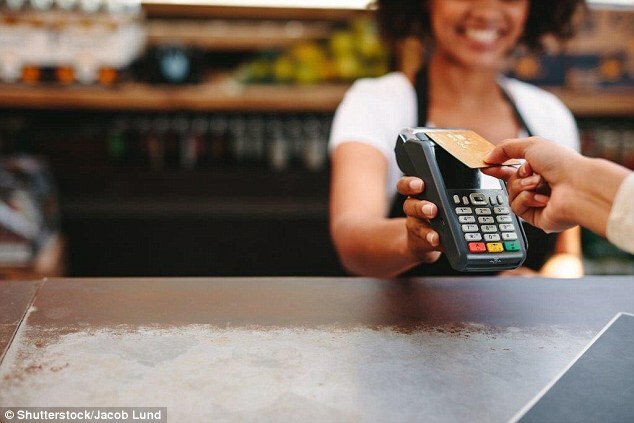 In a matter of years, millions of us are already comfortable to tap-and-go for transactions under £30 in a variety of shops, pubs and other services, shunning notes and coins. Most banks now dish out contactless cards alongside current accounts without an option not to. It is convenient and does away with the fiddly need for physical cash. Last week, the Bank of England said that the case to remove 1p and 2p coins was growing thanks to inflation. Six in 10 coppers are used just once before they go missing. The Royal Mint has also said that the number of coins its is putting into circulation has halved in four years. But I believe we – as a society – will regret it if we allow cash to die altogether. 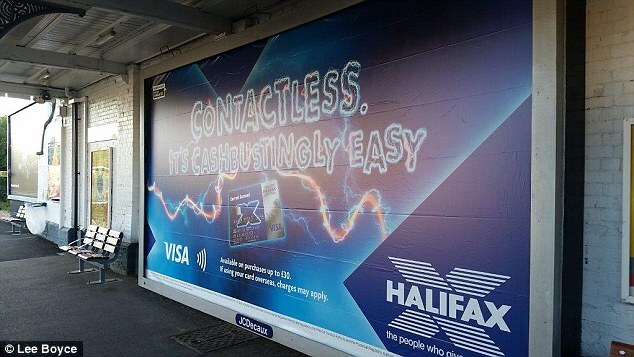 I’ve spotted a number of Halifax adverts recently pushing its contactless debit card. It’s described as ‘cashbustingly easy’. Pretty strong, choice language for a bank. It goes hand-in-hand with a spoof Ghostbusters television advert in which a Halifax staff member ‘Greg’ states just how much easier contactless is to Ray Stantz (Dan Aykroyd). And there lays one of the biggest problems with solely relying on card payments: technology. Glitches do happen. Imagine one without cash in existence or being readily accepted. I’m not sure even Ray from Ghostbusters would be able to help. Whether it is a retailer with a card payment problem, or a bank (looking your way TSB) or issuer (Visa) that goes down making your money inaccessible, it can be a frustrating and scary experience. I was in Copenhagen on a trip with five friends – two of which choose to come without any kroner whatsoever – when the Visa meltdown happened in early June. They had to borrow cash from the three of us that did, as card payments wouldn’t go through. Personally, I like a mix of payments. Some, mostly bigger ones, I make by card for the added protection, but I also like that feeling of having cash in my wallet and change in my pocket for smaller purchases. I’m also not entirely comfortable with all of my spending history to be documented. Not that I am up to anything sinister, but I just don’t like giving away my habits to the banks. Knowledge is power. I like to withdraw cash and spend it throughout the week on transactions such as at the pub or for lunch. Why? Well I don’t want the bank to see how I choose to spend my cash and where. I’m not being paranoid. I just like to keep as much personal information to myself as possible in a world in which data is a commodity, especially in the dawn of Open Banking. Using cash, in my opinion, also makes it easier to budget. Contactless payments make it easy to lose track of what you’ve spent. A decade ago, more than 60 per cent of transactions in Britain were cash. Now, it has fallen to a third. Contactless accounts for a third of all payments. An amazing statistic. We are seeing the number of cash machines fall and many more may go if they don’t remain profitable – i.e., not enough people use them. Reducing access to cash excludes groups of society. Those in rural areas or the millions that don’t even have a bank account for instance. Sweden is an example of a country in which cash has died even quicker than Britain. Only two per cent of all transactions are now with physical money in the Scandinavian country. Many restaurants, hotels and bars have banned cash all together. Large number of bank branches have gone ‘cashless’, meaning customers cannot deposit notes and coins into their account and others charge a fee to do so. That means they wield incredible power. Another example is Zimbabwe. A mobile money app called Ecocash is the main way to process and handle money in the African country. But back to the ‘technology can go wrong’ point, a glitch hit the app in June and the country’s economy stumbled. A recent survey suggested that one in three of us in Britain would be happy to live in a cashless society. I’m really not sure why. We’re living in a time when many children may not even know the true meaning of cash as they might never see it. Money will simply be a lump of plastic and some digits on a screen.